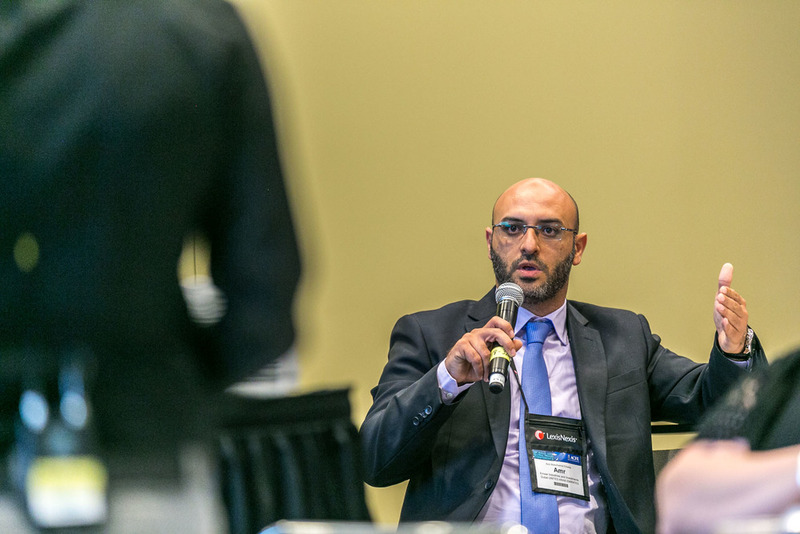 The 26th Annual ACFE Global Fraud Conference is in the books and by all accounts it was not only the biggest gathering of anti-fraud professionals in the world, but also the best. 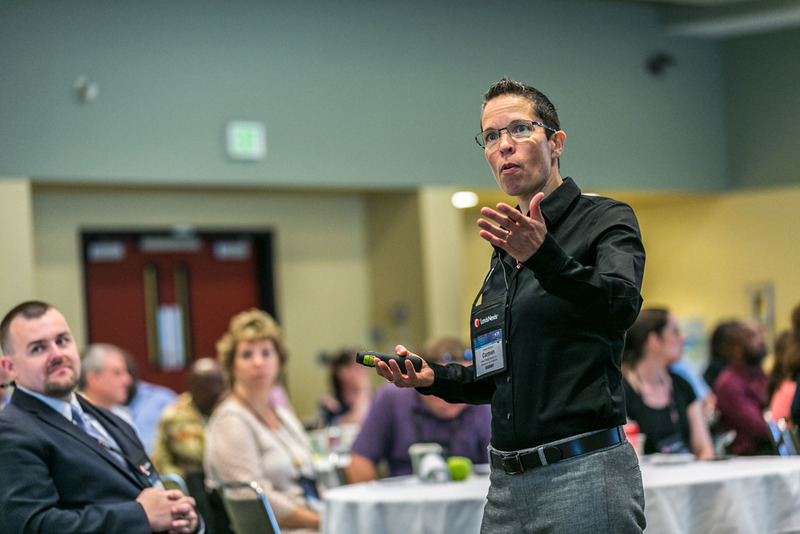 In addition to providing first-class learning opportunities for attendees, the event had additional value for the chapter leader community. Below are some of the chapter-related highlights from Baltimore. The Chapter Leaders Meeting and Reception was a success as nearly 90 chapter leaders from around the world attended, surpassing last year’s record attendance. 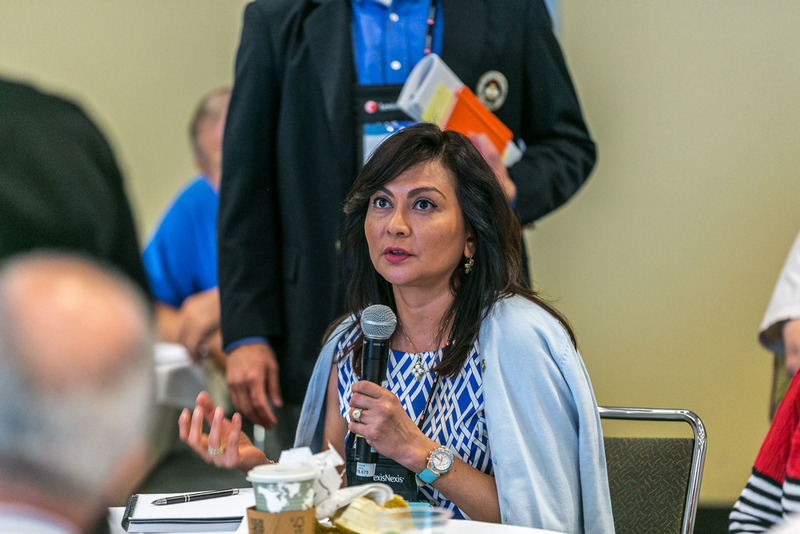 Houston Area Chapter president Ryan Hubbs, CFE, and Vancouver Chapter president Carmen Wiechers, CFE, each delivered well-received presentations on chapter websites and chapter event planning, respectively. Hubbs’ presentation reviewed what service provider options are available, the importance of website security, how to monitor and utilize statistics from a website, registration and payment options and a list of website “must haves, like to haves and in my dreams.” A copy of Hubbs' presentation is available at ACFE.com. Wiechers’ presentation focused on the different aspects of event planning for chapters, including venue selection criteria, how to attract and negotiate with sponsors, marketing tips for events and suggestions for locating and contracting with speakers. A copy of Wiechers’ presentation can also be found at ACFE.com. Congratulations to the Maryland Chapter for earning Chapter of the Year, and to the Houston Area Chapter for the Chapter Newsletter of the Year Award. Read more about the award-winning chapters here. Living up to their status as Chapter of the Year, the Maryland Chapter organized a networking event for conference attendees that doubled as a fundraiser for the Ritchie-Jennings Memorial Scholarship. On Monday night, the chapter hosted more than 360 attendees on a sunset harbor cruise of Baltimore’s Inner Harbor. The event raised more than $3,500 for the scholarship fund. 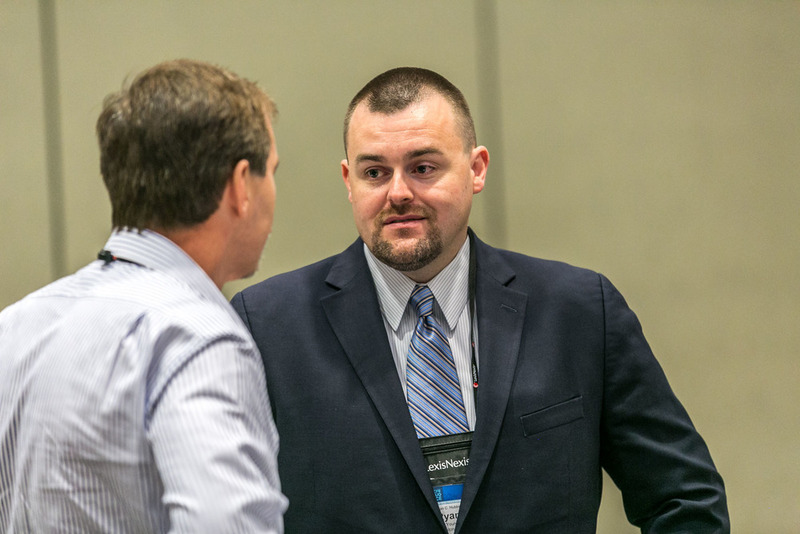 Houston Area Chapter president Ryan Hubbs, CFE, was presented the James R. Baker Speaker of the Year Award, which recognizes an ACFE speaker who has demonstrated excellence and leadership in communication, presentation and quality instruction. Congratulations to Ryan! Heartland Chapter director Rick Belik, CFE, was presented the ACFE Award for Outstanding Achievement in Outreach/Community Service. This award recognizes an ACFE member that is committed to helping improve the quality of life where they live and work. Congratulations to Rick! I enjoyed getting to visit with so many chapter leaders in Baltimore. 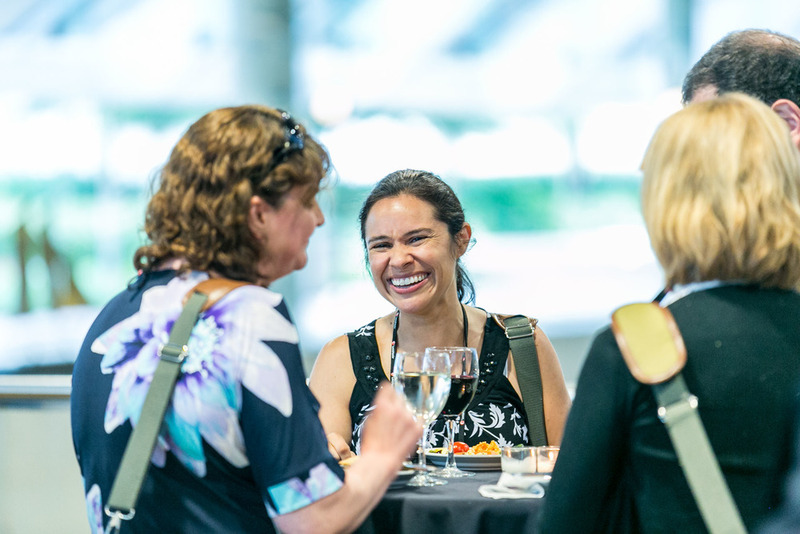 I have heard many positive responses stating the conference and accompanying meetings and networking events provided not only resources but also new connections that will help people with their careers and with growing their local chapters. 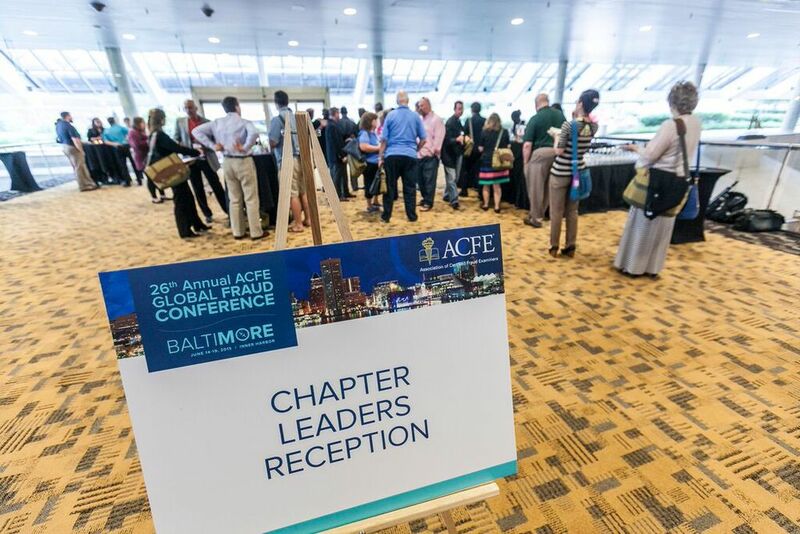 If you attended this year in Baltimore, I hope that you carried home something that can help you and your chapter and met someone from another chapter to stay in touch with. If you did not attend, I hope to see you next year when the conference returns to Las Vegas. Enjoy some pictures from Baltimore below.